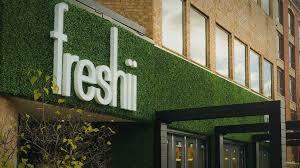 The company’s headquarters is 98 per cent millennial but turnover remains “almost non-existent” says Freshii’s HRD. With a reputation for job-hopping, millennials are often considered hard to retain but it seems one Canadian company is having phenomenal success in the area. The company – established in 2005 by Matthew Corrin – never strays from its environmentally-friendly ethos and identifies its main focus as helping people all over the world live healthier and longer lives by making healthy food affordable and convenient. According to Dalziel, this unambiguous mission is partly to thank for the millennial appeal. “My feeling, and I’m a millennial myself, is people want to do work that matters. They want more than just a job and want to be part of a company that is more than just making profit,” she told HRM. “I think it’s great at Freshi that it’s true,” she continued. “Matt built Freshi with a focus on the triple bottom line of people, profit and planet. Everything we do is geared towards helping people have access to healthier food and lives. Toronto-based Dalziel says one of other key things keeping the company’s young workers happy is the opportunities they have to offer meaningful contributions. Giving people autonomy over their own careers and empowering them to take on challenges is exactly why younger workforce is keen to stay, says Dalziel. “People are getting to play really big in their careers. They’re getting exposure to things they would not be exposed to in other companies and Matthew as a leader – he puts a lot of trust in people. He gives them big jobs to do. Matthew Corrin – CEO and founder of Freshii – will be debunking myths about millennials at the upcoming HR Leaders Summit. For more information on the November event, or to purchase advance tickets, click here.